Islamist militants have claimed full control over the strategic Syrian city of Ariha, with government forces admitting withdrawal from their last stronghold in Idlib province after heavy clashes with al-Qaeda affiliated groups. Ariha, once a city of some 40,000 people and up until now the last remaining under government control in the Idlib province, bordering Turkey, has fallen to the rebels, Syrian television reported citing army sources. “Units of our armed forces evacuated their positions in Ariha and withdrew to defensive positions in the vicinity of the city after battles it fought facing large number of Nusra terrorists,” the army source was quoted as saying. A conglomerate of extremist Islamist fighters called the Jaish al Fateh (Conquest Army) claimed full control of the city. The core of the fighting force was al-Nusra Front, an offshoot of al-Qaeda. “Jaish al-Fatah has taken full control of the city of Ariha after a lightning offensive that ended with a heavy pullout of regime forces and their allies Hezbollah from the western side of the city,” chief of the Syrian Observatory for Human Rights, Rami Abdel Rahman, told AFP. According to the information from the British based NGO, Islamists captured the city in some six hours, after swiftly moving in through the outer districts of Ariha, sweeping away government forces. The al-Nusra Front which reportedly struggled to rebrand and distance itself from Al-Qaeda, along with other rebel factions, have been victorious in Idlib province in the last couple of months, taking the provincial capital on March 28 and the key town of Jisr al-Shughur on April 25. The loss of Ariha leaves the militants in control of most of Idlib region that borders Turkey. 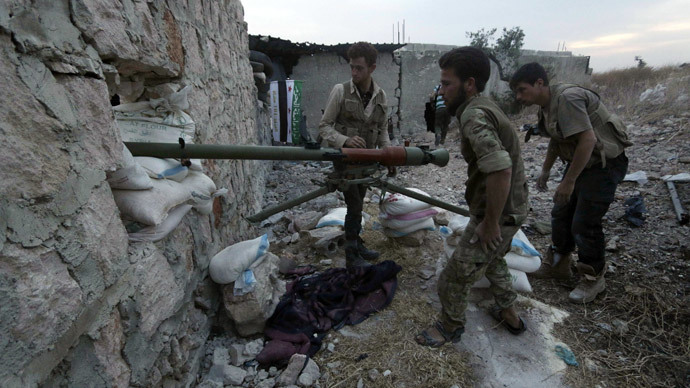 It became the latest in a series of blows to the Syrian government. Earlier this month ISIS jihadists overrun the ancient 2,000-year-old city of Palmyra, reportedly executing hundreds of government troops and civilians, including women and children.